Call 1-800-651-8240 to get started. business decisions is stressful enough. 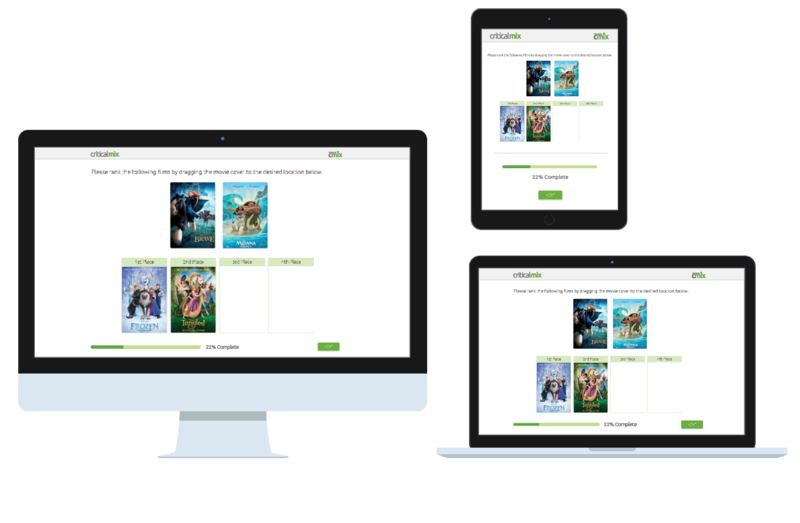 CMIX eliminates the hassle of finding sample and managing quotas, programming engaging surveys and processing results, by simplifying every step along the way. Use our validated and engaged online panels and other proven sample recruitment methods to easily find any type of person, all over the world. Create and administer surveys with CMIX or connect directly with your own survey system using our API. Our rigorous sampling quality management processes guarantee data accuracy at each stage of the survey process. If you can think of it, CMIX can handle it. 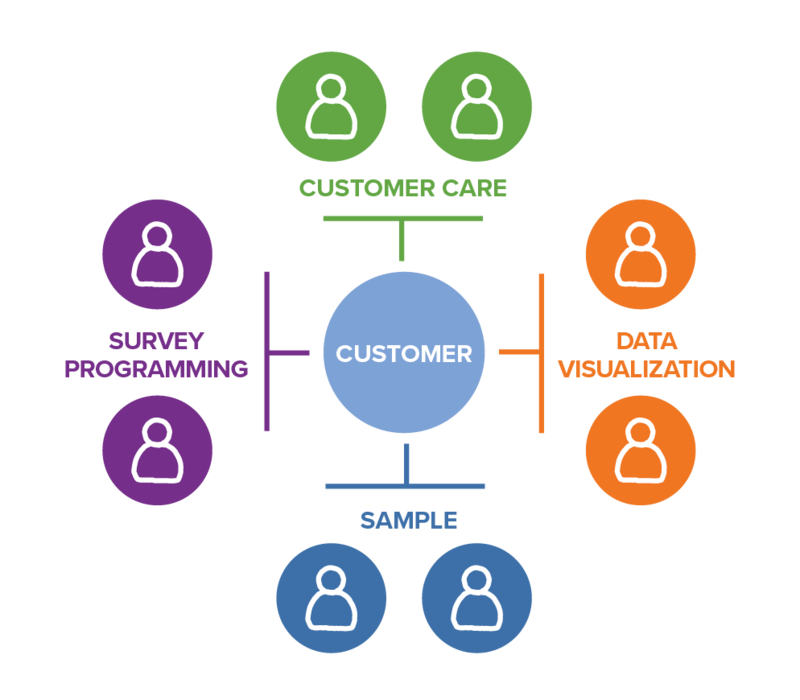 Our survey programming tool and experienced programmers have expertise across all types of complex survey designs and functionality. Your dedicated team is certified across translations, sampling, data processing and best practices for project management and data quality controls. 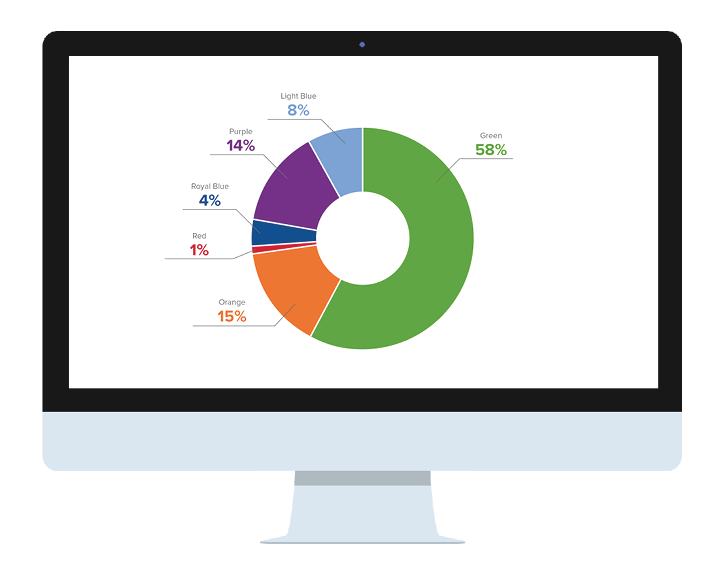 The CMIX reporting tool makes it easier and faster to manage and analyze survey data. Its intuitive, flexible design allows you to download to Excel and Powerpoint, and publish online dashboards while projects are still in the field. Data can be provided in a variety of formats that meet your specific project needs. What makes Critical Mix different is we believe that no matter the size or type of project you should always be able to contact a human being to get a question answered or get help. That's why our team can be reached at all hours of the day, including nights and weekends, whenever you need us. Get started on CMIX today! Discover how CMIX makes it easy to collaborate and create insights. Call 1-800-651-8240, email simplify@criticalmix.com, or complete this form and we'll set up a personalized demonstration for you.